The product is not good enough. We have to call the customer service to repair it. how to sell our products. and how to find our customers. I learned a lot when we tried to find our potential customers. Run large-scale workloads on virtual machines hosted on Google's infrastructure. Choose a VM that fits your needs and gain the performance of Google's worldwide fiber network. Netrepid is a provider of hosting services and technology solutions to help growing companies accelerate their evolution from the ground to the cloud. IBM's platform-as-a-service (IBM SmartCloud Application Services) delivers a secure, collaborative cloud-based environment that supports a full lifecycle of accelerated application development, deployment and delivery. 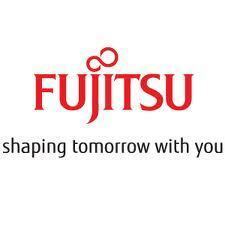 * We monitor all Fujitsu IaaS reviews to prevent fraudulent reviews and keep review quality high. We do not post reviews by company employees or direct competitors. Validated reviews require the user to submit a screenshot of the product containing their user ID, in order to verify a user is an actual user of the product.